Gustive O. Larson was a prominent Utah historian. He started a homestead in southern Utah in the 1930s but lost it when the Kolob National Monument was established. During his four summers on the homestead, Gustive learned about Utah history, overcame a severe illness, and built a cabin that stands today. Gustive O. Larson was born in Holladay, Utah in August 1897. He met Virginia Bean while teaching in Richfield, Utah and married her on February 12, 1926. She supported him as he conducted extensive research into Utah history and participated in the community. Gustive published several books and papers, served as president of the Utah Valley chapter of the Utah State Historical Society twice, served as the chairman of the Iron County chapter of the American Red Cross for nine years, and served as chairman of the Cedar City Library Board. In the early 1930s, Gustive tried homesteading and gained valuable knowledge and experience. Gustive set up his homestead in Dry Creek, now known as Kolob Canyon, located in the North West District of Zion National Park. Arthur Fife and William R. Palmer also established homesteads in the canyon. Gustive worked with these two men during the summers to carve out his homestead. Gustive finished his cabin in 1931 and in his personal history said his family was optimistic “to make good our claim to this beautiful little wilderness spot.” In 1932, Gustive’s salary dropped due to the depression and teacher salary cuts in Cedar City where he worked. However, Gustive was pleased with the progress being made on the homestead and the fencing that had been put up the second summer. He described the 1932–1933 school year as difficult because of his failing health and luckless speculation on the stock market. In 1933, Gustive had his appendix and gallbladder removed and his health returned. The Larson’s were called to serve a mission for the LDS church in Sweden in 1936. In 1937, while the Larson’s were gone, the US government established the Kolob National Monument. This monument overlapped the three homesteads in the area and would eventually be incorporated into Zion National Park. When Gustive returned from Sweden, he tried to claim his homestead and was denied. The homestead laws required a family to live on the land and improve it for five years. In the summer of 1934, Gustive took several classes at UCLA and brought his family with him instead of living on the homestead. This caused the denial of his claim and the Larson’s were forced to abandon the homestead. Though Gustive did not retain the homestead, he gained valuable knowledge from the experience. He started a friendship with his neighbor William R. Palmer, who studied Indian culture and wrote a historical radio series. This friendship influenced Gustive’s own work in the history field. Gustive and his son learned much about the outdoors from Arthur Fife who lived down the canyon. Gustive dealt with damage caused to his property by other neighbors’ goat herds and coordinated with the CCC, who were preparing to develop the region. 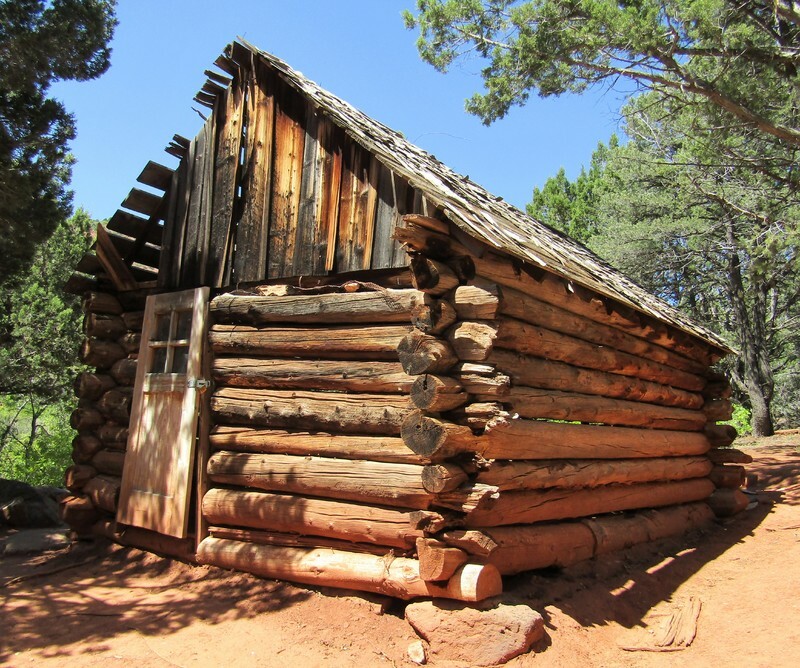 Zion National Park has preserved the Larson cabin, which is located on the Taylor Creek trail today. 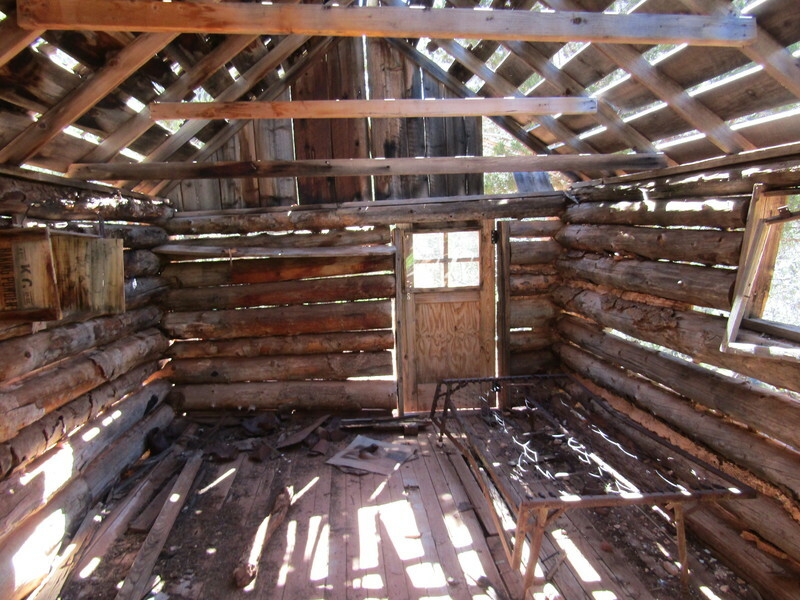 Larson Cabin : The National Park Service replaced the door to the cabin and cleaned up the brush around it in 2009. ~ Source: P.L., Ben, from Wikimedia Commons. “Larson Cabin,” available at https://commons.wikimedia.org/wiki/File:Larson_Cabin_(34838360376).jpg. Larson Cabin: The Larson’s left behind one of their bed frames when they left the homestead. ~ Source: P.L., Ben, from Wikimedia Commons. “Larson Cabin,” available at https://commons.wikimedia.org/wiki/File:Larson_Cabin_(34746312261).jpg. 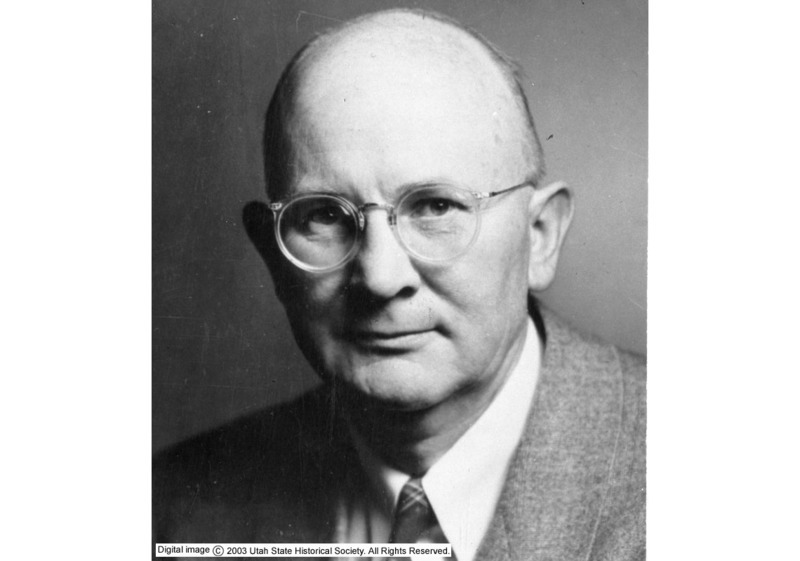 Gustive O. Larson: Gustive O. Larson taught history at Brigham Young University towards the end of his career. ~ Source: Utah State Historical Society, from the Utah Department of Heritage & Arts: Classified Photographs. “Gustive O. Larson,” available at https://collections.lib.utah.edu/details?id=432003&q=gustive+o+larson. Samuel Hauber, Brigham Young University, “The Larson Homestead in Kolob Canyon,” Intermountain Histories, accessed April 19, 2019, https://www.intermountainhistories.org/items/show/199. Brigham Young University Special Collections, Manuscript Archive. Gustive O. Larson Papers 1897-1978 Boxes 1, 2, 12. Brigham Young University Special Collections, Manuscript Archive. William R. Palmer radio programs 1877-1960. Larson, Gustive O. “William R. Palmer,” Utah Historical Quarterly (Winter, 1963). From the Washing County Historical Society. "Gustive O. Larson Cabin: Kolob Canyon Section of Zion National Park,” available at http://wchsutah.org/zion/larson-cabin.php.